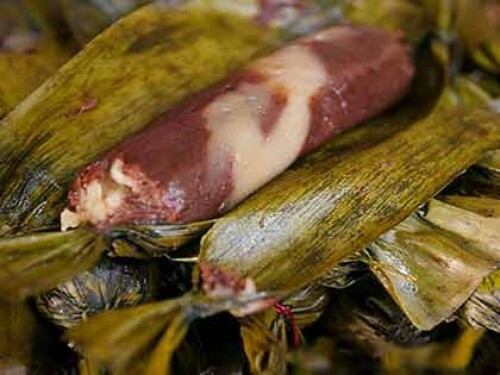 Chocolate moron is a smoother variety of suman that is made of ground glutinous (malagkit) rice cooked in coconut milk. Moron is either plain or mixed with chocolate or cocoa. My mom was from Leyte, and as a child during special occasions she made Moron many many times and seeing the recipe made me cry as my mom died in 2010 and it reminded me of how great she was at making it! 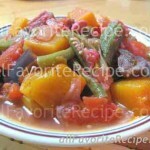 Maraming salamat I found the recipe nitong suman moron sa website nyo. Finally I can try to make this @ home… Dahil I love this dessert….plenty salamat… U make my day…. When I was pregnant with my first son 22yrs ago I eat this everyday in Carmen market CDO I’m here in US it’s my first time to make this suman we can’t figure out what it is called… Thanks for the recipe I’m so excited. its been very longtime searching this delicious and nutritious native recipe of yours and at last i found the simple and the easiest way in cooking i love very much eating suman moron..thank you very much for sharing us your valuable recipes and hope more recipes posted.God bless! im not from visaya but i do love this suman moron.lately i’ve bee asking my visayan frends about this suman.at that time i dont know what this suman is called,all i can remember is its made of malagkit,chocolates and peanuts all combined and im not sure if its boiled or steamed.that’s why im having a hard time searching for this on the inet.im craving for this one.gonna try it asap.tnx sa recipe!GODSPEED! i love cooking, so i want to try this reciepy at home, hope i’ll perfct it and i can make it. a specialty of tacloban… i love it! 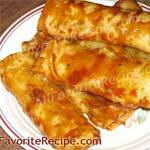 its my favorite, i often ask my cousins to buy me this as a pasalubong evertime they come visit me in manila… thanx for the recipe! Hope you post more recipes… God Bless!